quip keeps a 3 month charge using the same regular or rechargeable batteries as other electric brushes (AAA in our case). After 3 months, just remove and replace (no charger needed). 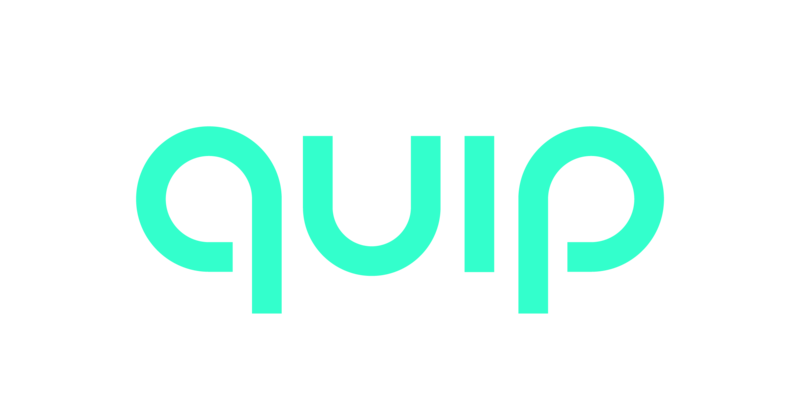 Unlike some electric toothbrushes that come with wires or a separate charging station to recharge a locked-in battery, quip gives you the flexibility to remove and replace a single AAA battery every 3 months. It’s better for the life of your toothbrush and leaves you with less to carry as you travel. When your quip is ready for a fresh charge, simply choose from two options. Your 3-month refill pack comes with a free AAA battery and fresh brush head. Just swap your old battery when you replace your bristles, then you’re set for the next 3 months. Watch our how-to guide. quip also works with regular rechargeable batteries (follow the same steps to swap in a charged AAA). If you would like us to remove batteries from your 3-month refill packs, email us at help@getquip.com.